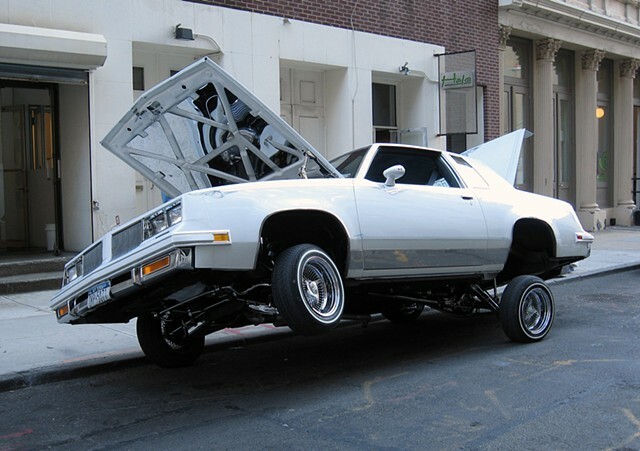 A site specific intervention consisting of a white lowrider parked in an extreme angle on a city street for the duration of 2hrs and 10min. The piece is based on a 1960's video work titled: "Walking in an Exaggerated Manner Around the Perimeter of a Square" by artist Bruce Nauman. *Car courtesy of Lunatics Lowrider Club, NYC.